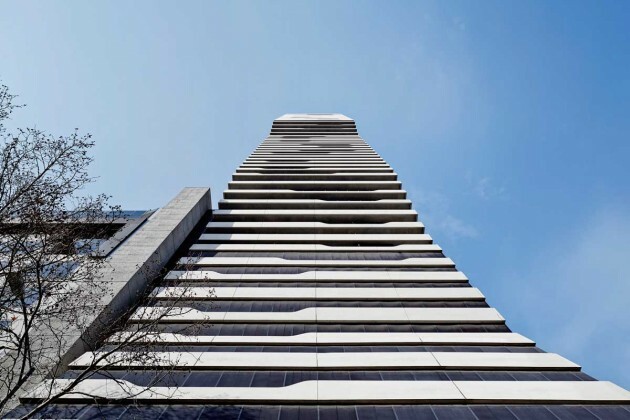 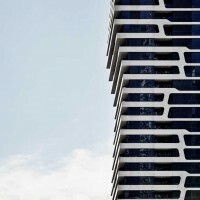 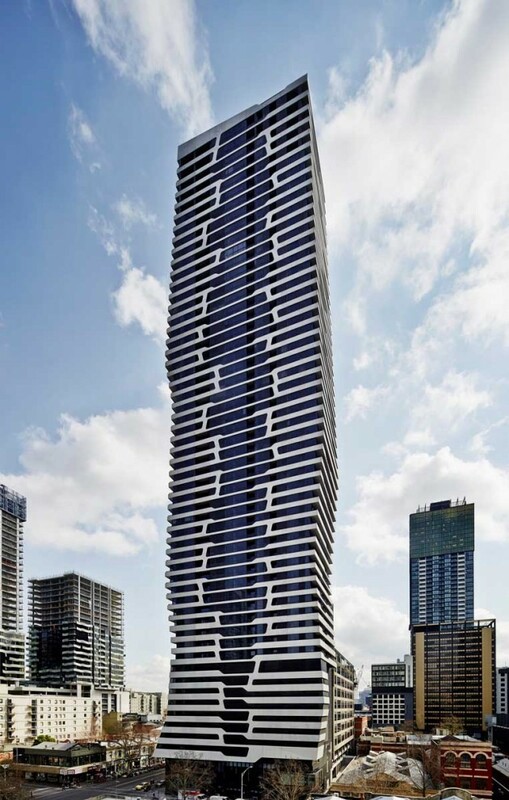 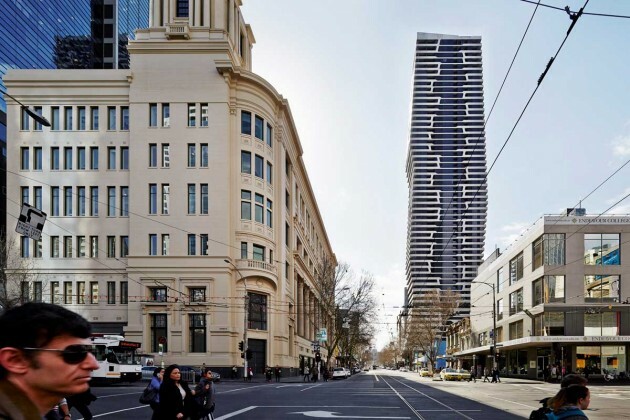 Photographer Peter Clarke has sent us photos of MY80, a residential apartment building in Melbourne, Australia, designed by architecture firm Hayball. 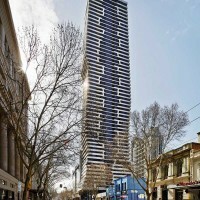 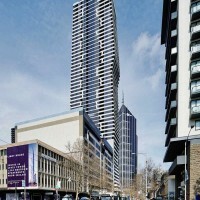 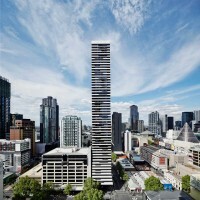 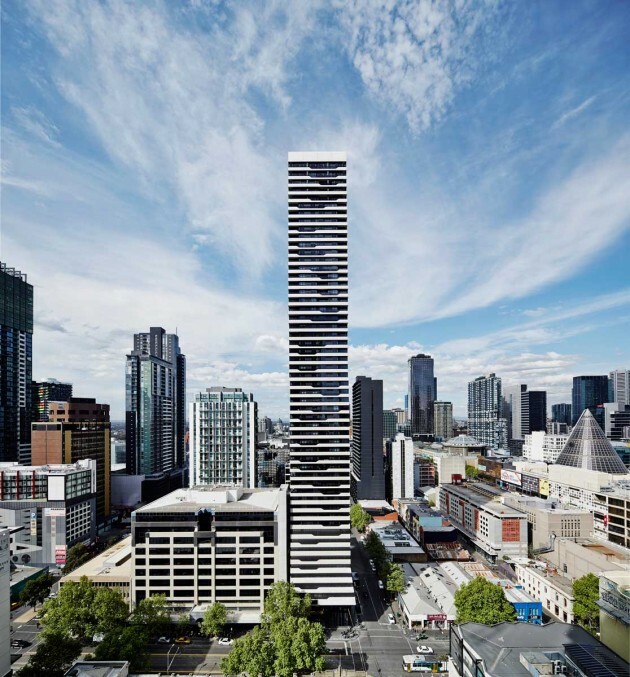 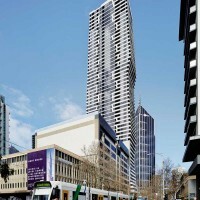 The building’s diverse vertical neighbourhood features retail tenancies, commercial premises and residential dwellings. 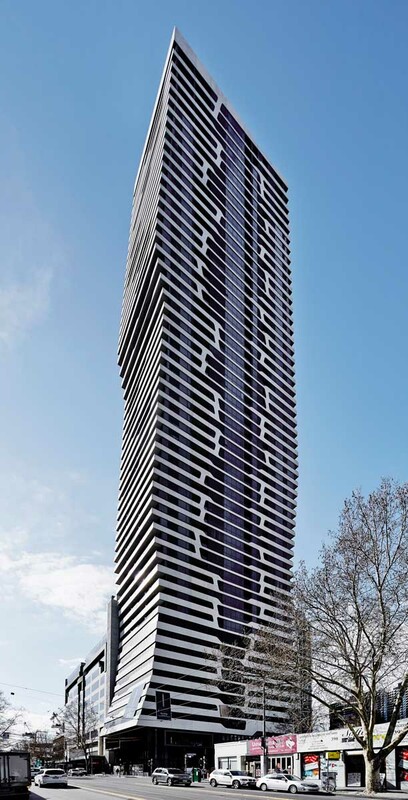 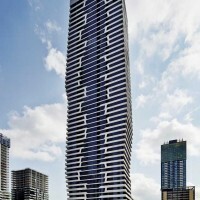 With a strident, singular expression, the tower wears a richly detailed yet rhythmic skin. 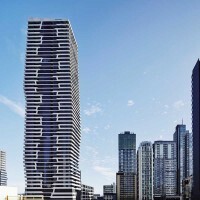 The folded geometry is reflected in the predominantly horizontal articulation, with fluid, vertical elements providing an organic connection between each level of the building. 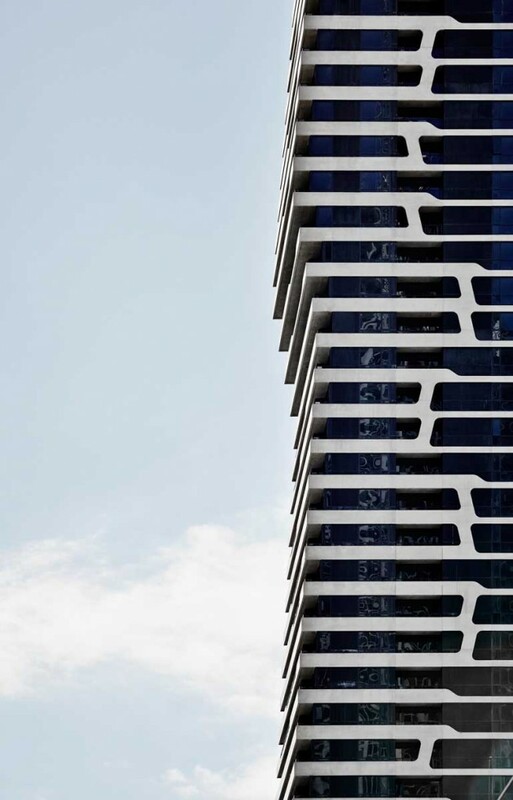 Curved junctions soften the façade and frame compelling views of the city and beyond from apartment balconies. 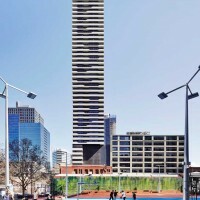 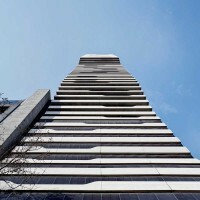 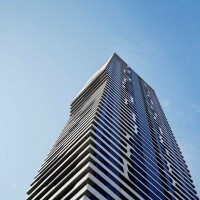 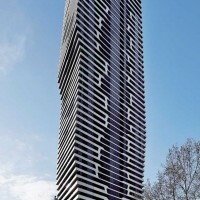 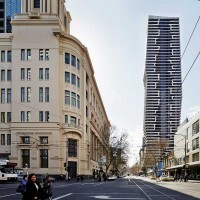 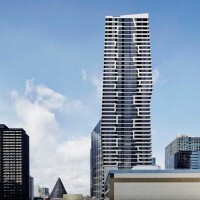 Public and communal spaces enrich the activity of the tower. 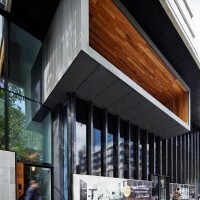 The ground floor is occupied by retail, with a residents’ lounge and business centre as a mezzanine to the main foyer. 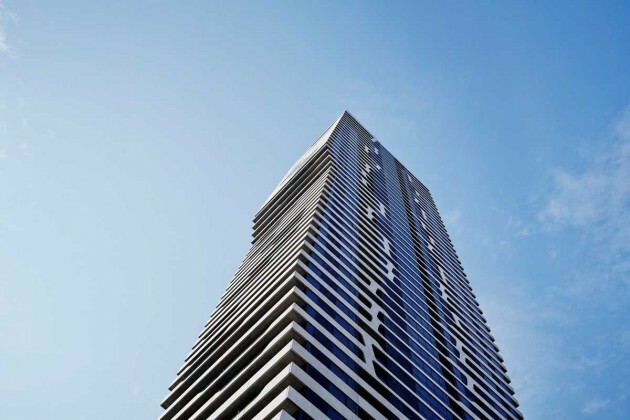 A double height communal terrace on level 15 delivers a pool, designer kitchen, barbecue and cinema. 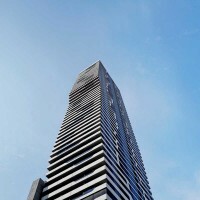 A communal terrace and sky lounge at the top of the building (level 53) crown MY80.